The New England Chapter of the Congress for New Urbanism, a largely professional group formed to improve commercial redevelopment of cities and towns, is holding an “open house and happy hour” at The Goose in Darien on Friday. The free event takes place from 5:30 to 7:30 p.m., Friday, Aug. 5, in a reserved room at the restaurant and is open to anyone who RSVPs the organization. Contact Lejla Skokic at lejla@snunewengland.org. Join CNU New England’s staff and board as we head to a city near you! Connect with local members, supports, and allies. Learn more about what is happening in your community and around the region, and ways to stay involved all year. Take a street: Our members are the activists advocating a safer street with added bike lines, the engineers designing the street with the community’s input, and the urban designers who make it beautiful. We’re also the architects designing the buildings to frame the newly designed street, and the developers who build them. The Congress for the New Urbanism, New England Chapter (CNU New England) is a cross-disciplinary network of professionals and advocates working to build strong cities and towns in New England. Our mission is to educate the public and the development community about the benefits of New Urbanist planning, design and development; to support the implementation of projects consistent with the principles of New Urbanism at the local, state, and regional levels; and to encourage the adoption of policies and regulations that promote traditional human-scaled urbanism. Founded in 1993, New Urbanism is a movement united around the belief that our physical environment has a direct impact on our chances for happy, prosperous lives. 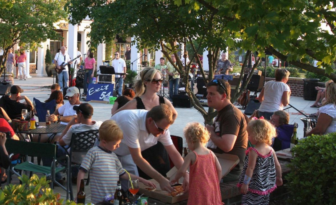 New Urbanists believe that well-designed cities, towns, neighborhoods, and public places help create community: healthy places for people and businesses to thrive and prosper. In the late 1980s and early 1990s, a large number of urban designers, architects, planners, developers, and engineers were frustrated with prevailing development patterns, which focused more on building dispersed housing far from traditional downtowns and Main Streets. Meanwhile, inside cities, urban renewal was destroying the fabric of historic neighborhoods and isolating once-stable communities. Over the past 25 years, the New Urbanist movement has changed the conversation from debating the alternative forms of development to discussing how best to preserve, design, develop, and restore our regions, cities, and neighborhoods. New Urbanists have been responsible for creating and popularizing many now-common development patterns and strategies, including mixed-use development, transit-oriented development, traditional neighborhood design, integrating design standards into affordable housing, and designing complete and beautiful streets. As momentum for mixed-use, walkable neighborhoods has grown, New Urbanists have risen to the challenge of building on past successes, establishing new design and development standards, and accelerating the pace of change. Editor’s note: This article originally was published Aug. 2. The time stamp has been changed to move the link it back up on the home page. "A Derby Affair," a gala benefitting the Child Guidance Center of Southern Connecticut, features the Kentucky Derby live on TV, a 50/50 raffle, a cocktail reception, dinner and the chance to participate in silent and live auctions. The Saturday, May 4 event at the Wee Burn Beach Club in Rowayton will honor U.S. Sen. Richard Blumenthal with the Distinguished Public Service Award for outstanding personal and corporate commitment to children’s mental health. Darien Library is hosting an informational meeting Wednesday night, April 6 about the downtown redevelopment proposal along the Post Road and Corbin Drive. David Genovese, principal of Baywater Properties, will present an overview of the proposal, which would transform a large section of downtown.